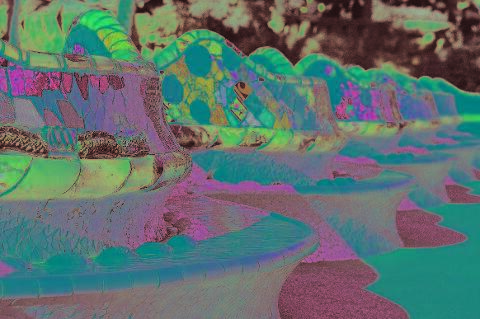 The park brings together all the characteristic features of modernism and the architect’s own particular vision (sinuous and organic shapes, integration with nature, broken tile mosaics). Opened to the public in 1922 was declared World’s Heritage by Unesco in 1984. 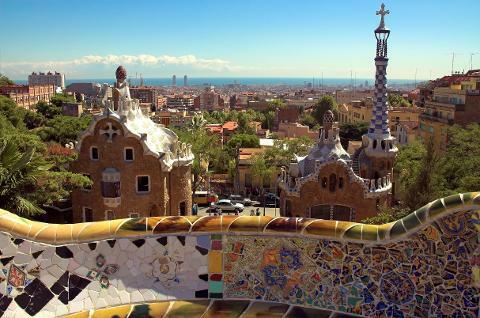 The Park Güell is a demonstration of how far ahead of his time Gaudí was. 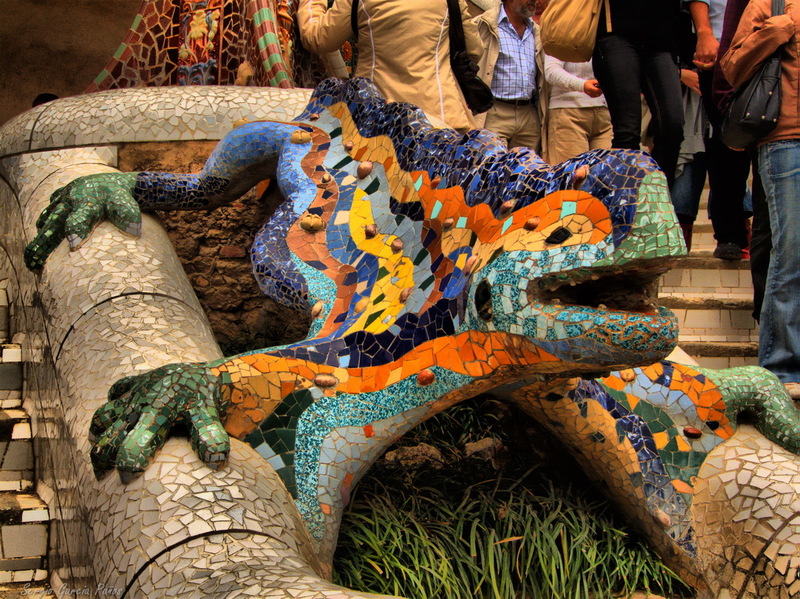 The now familiar mixture of highly advanced technical engineering and fantasy decoration is epitomized by the famous mosaic dragon or salamander, which is also an overflow for the underground water cistern, and the curved mosaic bench around the square which is at once a seat, a balcony and a wonderful piece of art. The park was listed as World Heritage by UNESCO in 1984. It was supposed to be a residential suburb, which was financed by Eusebi Güell and meticulously planned by Gaudí with intertwining roads and footpaths, water catchment, market place and square, gardens and lodges. Only two houses were sold and eventually the Güell family sold it for a symbolic amount to the city as a park and allowing us all to benefit from this beautiful, world heritage site. Walk straight in to the Park Güell with no queues, and less crowds because it’s in the early morning. Easiest way to get there, with a comfortable coach, from plaça Catalunya in the City Centre. This tour involves some walking. Consider there are many steps to get around in the park.